Storm to retire Mike Morins #15! 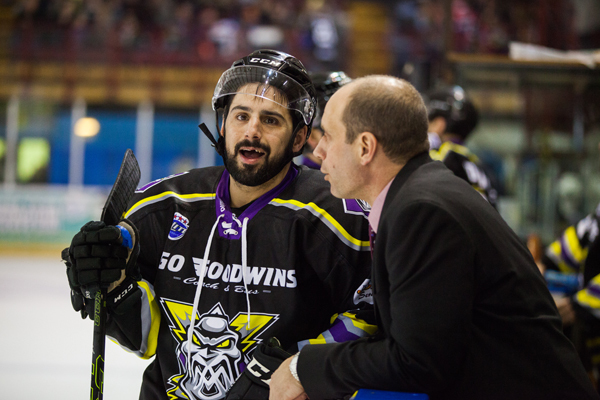 TICKETS: The Go Goodwin’s Manchester Storm are back in action THIS coming Sunday 2nd April when we take on the Cardiff Devils in the FINAL home game of the season, the Playoff 1/4 Final! Faceoff is at 5:30pm and tickets can be ordered online, by calling the box office on 0161 926 8782, or in person at the Box Office! 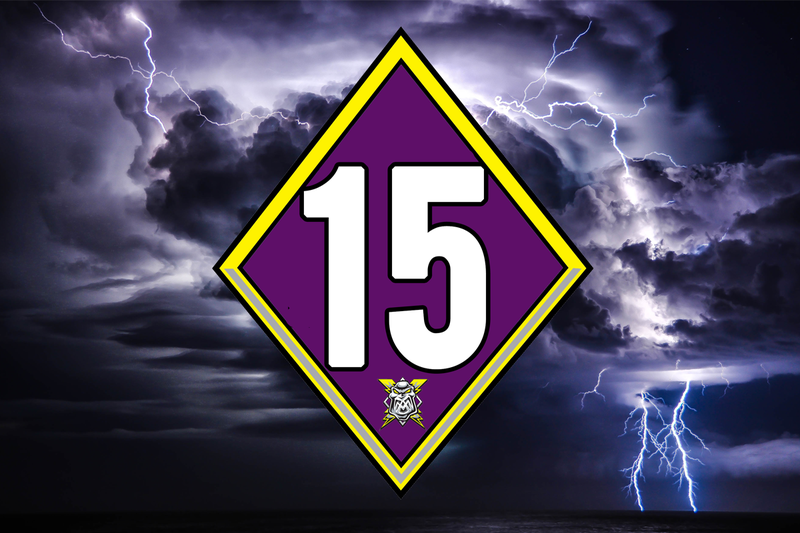 Fans at last night’s OSC organised “End of Season Party” were the first to find out the breaking news, that next season your Go Goodwins Manchester Storm will retire the #15 jersey to the rafters in honour of Mike Morin. 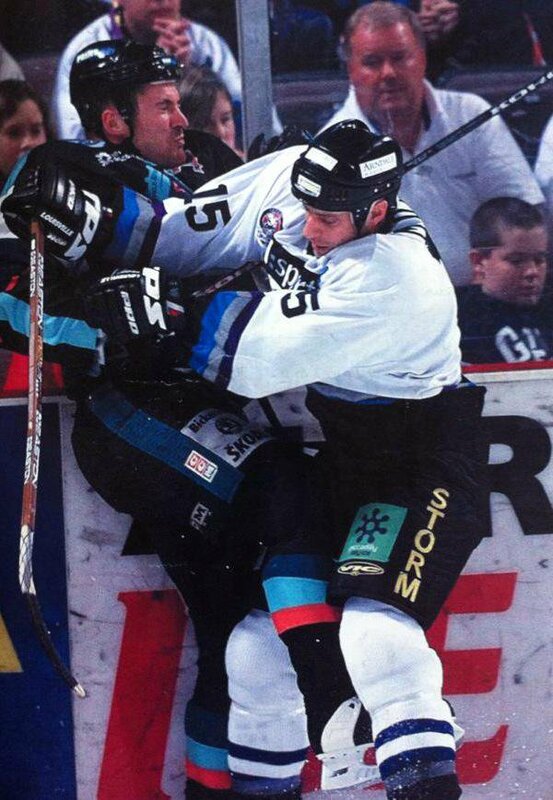 “Kermit” as he’s know by the Storm fans, played with the original Storm from the start of the 1996 season right up until they folded in 2002, and was an integral part of the teams which won both the Super League trophy & the B&H Cup. “This has been something that has been on my mind for a while now. Everyone knows that Mike was one of the first people I contacted when I arrived in Manchester. He is a Storm legend from the old times, he settled here in the UK after retiring from his playing days and set up a very successful commercial landscaping business. To get Mike back involved with the Storm was so important for us on many levels. Why? He cares. 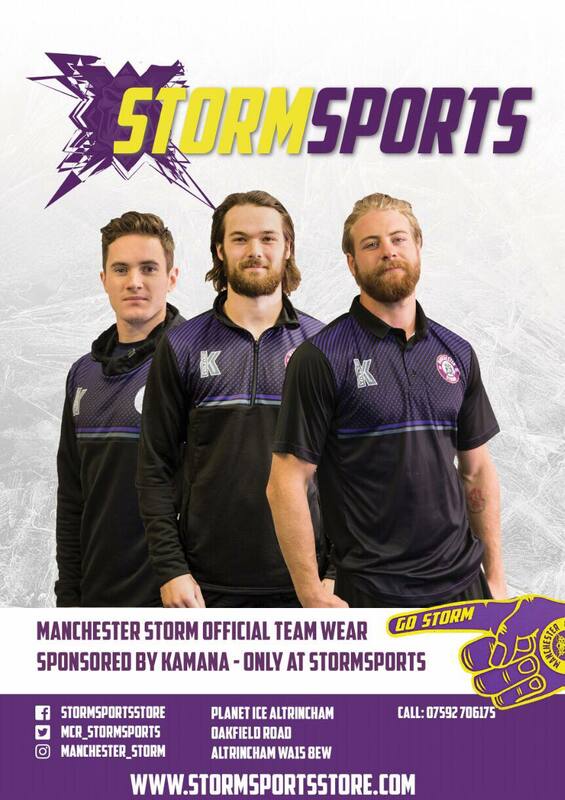 He LOVES the Storm, understands not just the game itself, but the work required to run a slick and professional club off the ice too. That love he has for our club is reciprocated and appreciated by not just myself as General Manager, but also Omar and all of the players. Details about the retirement will be released over the coming off season. Special Puck Drop On Sunday!